← Winners from the Lexington Grand Opening! Prince William has been designing a custom Push Present brooch for Kate to commemorate the birth of their baby, George. This brooch won’t just be any brooch, it may include a large fancy pink diamond, as pink diamonds are popular with the Queen. William originally thought about giving Kate a piece from his mother Diana’s collection, since she is wearing her ring, but decided to make a piece that was a little more personalized. The tradition of giving a Push gift is a Royal tradition. Charles gave Diana the gift of a gold medallion and gold “W” charm, after the birth of William. 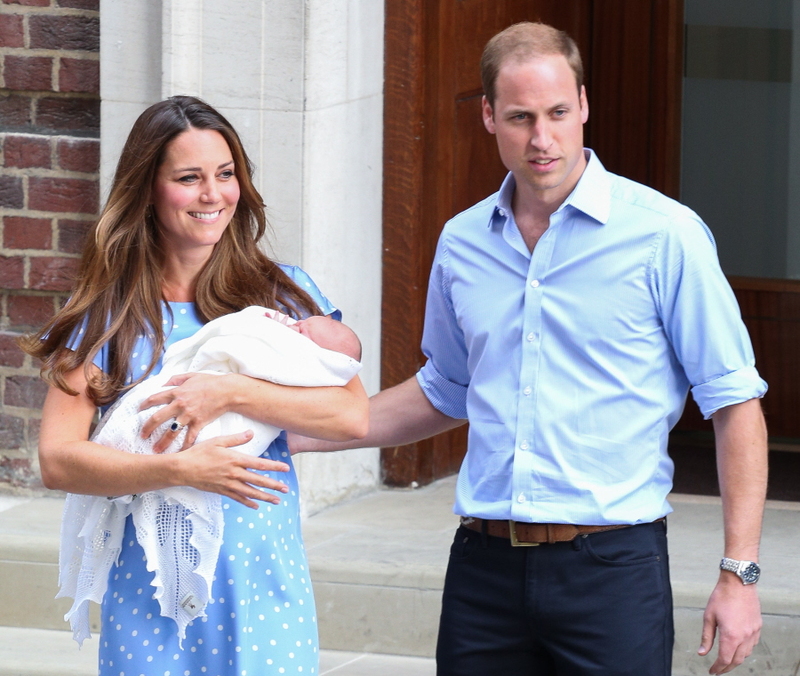 We are looking forward to seeing what the Push Present Gift from William to Kate will look like! If you are looking for a Push Present for someone expecting, please check out our Push Gifts online here. This entry was posted in Celebrity Jewelry, Diamonds, Jewelry News and tagged Jewelry, prince george, royal baby gift, royal push present, william and kate. Bookmark the permalink.